Cut out triangles with a saw, or use precut wooden "V's". Make sure to remove any dust or debris. Tape off the top ¾ of the triangle. After reading can label for proper application and safety instructions, spray triangles using Krylon® Fusion All-In-One™ in Metallic Silver and Krylon® COLORmaxx™ in Metallic Gold and Gloss White. Once triangles are dry to touch, remove tape. 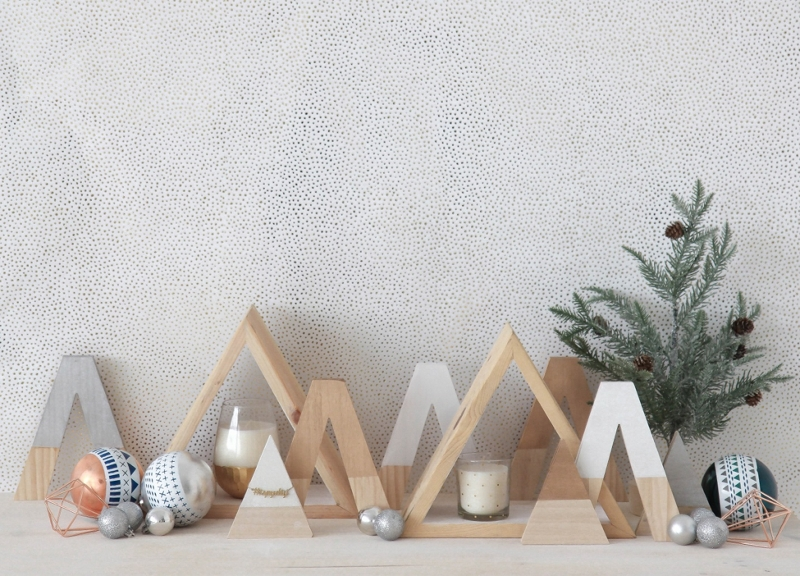 After the holidays have ended, use these triangles as jewelry holders!